This is the cover for the Nov. 1 live release. In other news, Jeff Tweedy has expanded his solo mini-tour to include Madison, where the tour will kick off on November 5th with Glenn Kotche as the opening act (for the uninitiated, Kotche is Wilco's drummer but also has a thriving career as a solo percussionist). Hopefully I will score some tickets (typically they sell out within minutes). I think I'm going to record a personal rendition of "Jesus, Etc." out of my excitement for this upcoming Tweedy show. I would love to hear it. "Jesus, Etc." is why I fell in love with YHF. 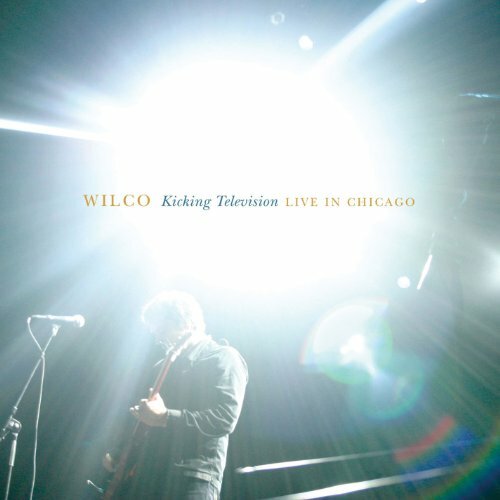 If anybody's interested, I could post mp3s of "Walken" and "On and On and On," the new songs Wilco has been showcasing for the last few weeks in concert. Also, I'm going to record that song soon. I'll put it up when I do. Jordan, I love it! This sounds terrific! Dude, that's seriously good. Nice. I listened to some of The Formal Apology stuff, too, and it sounds good. I'm impressed. "On & On & On"
I'm not crazy about either one, but if history is any indication, these initial versions are merely foundations that will eventually evolve into full-blooded sonic adventures. When are you coming back to play for my classes? Hummmmmmm, I've got seventh period off this semester and first period off next semester. I don't think they'd like it, though. hah. Seventh period is gonna happen. can u remember when me and Jordan played our lovely song about the civil war??? HMMMM? But yes Jordan, your cover is amazing. can u remember when me and Jordan played our lovely song about the civil war??? How could I forget? It was one of the highlights of the year!